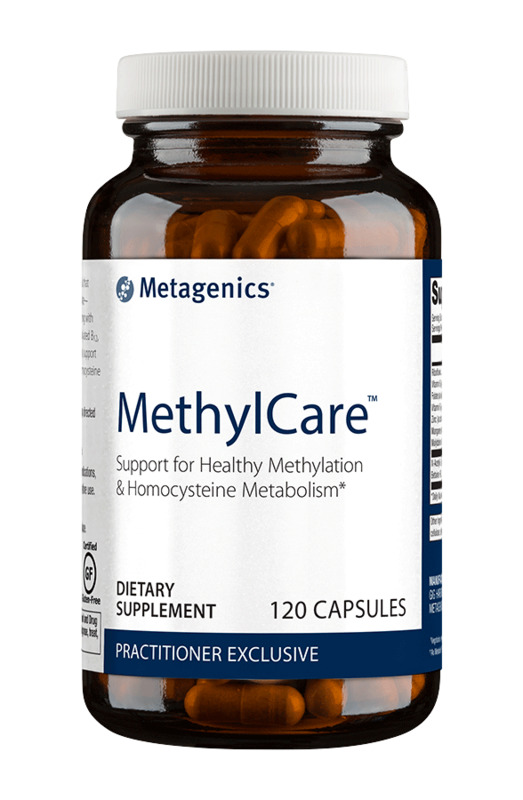 Methyl Care is a comprehensive formula that features calcium L-5-methyltetrahydrofolate-- a body-ready, nature identical folate --along with N-Acetyl-L-Cysteine, vitamins B6 and methylated B12, and betaine HCl. 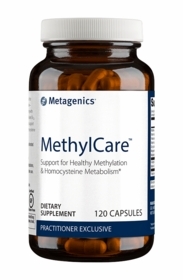 Together, these nutrients support methylation, which promotes healthy homocysteine metabolism. Directions: Take 2 capsules once daily, or as directed by your healthcare practitioner. Caution: If pregnant or nursing, or taking medications, please consult your healthcare practitioner before use. Keep out of the reach of children. If pregnant or nursing, or taking medications, please consult your healthcare practitioner before use. Keep out of the reach of children.